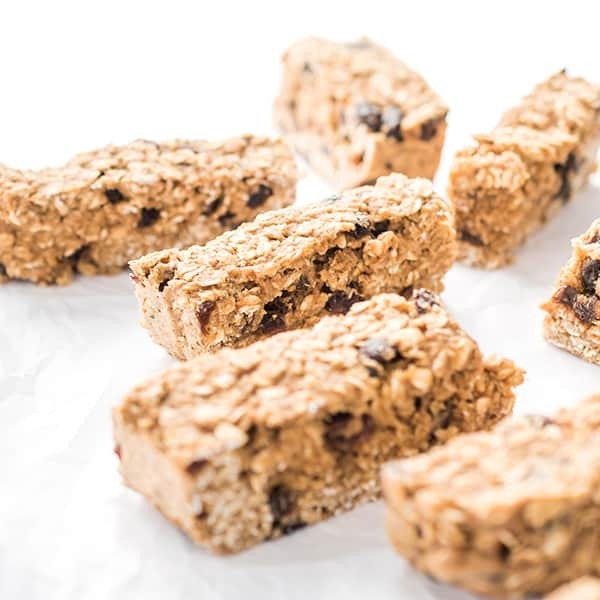 A healthy alternative to store-bought granola bars, these chewy nut-free protein bars are perfect for snacking on-the-go! As a mom of two young boys I am here to confirm that the rumor is true: boys will, in fact, eat you out of house and home. 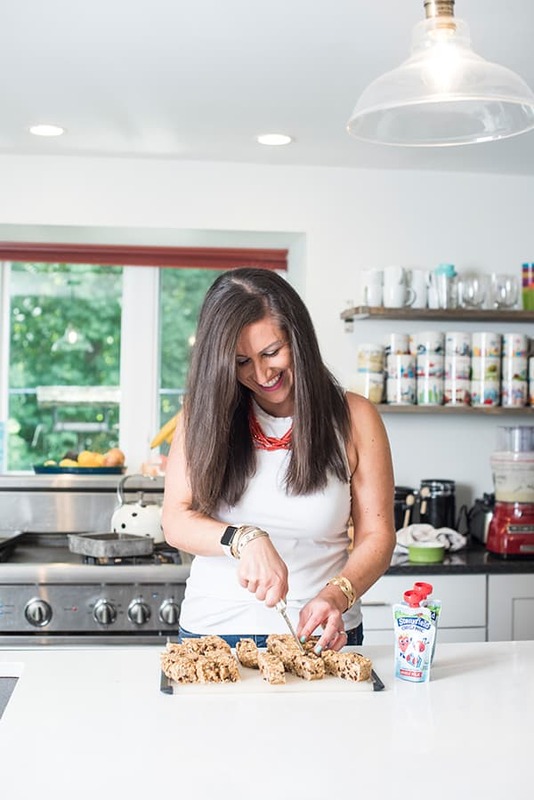 As easy as it would be to rely on store-bought granola bars, making them at home is not only more affordable but it allows me to control the quality of ingredients. 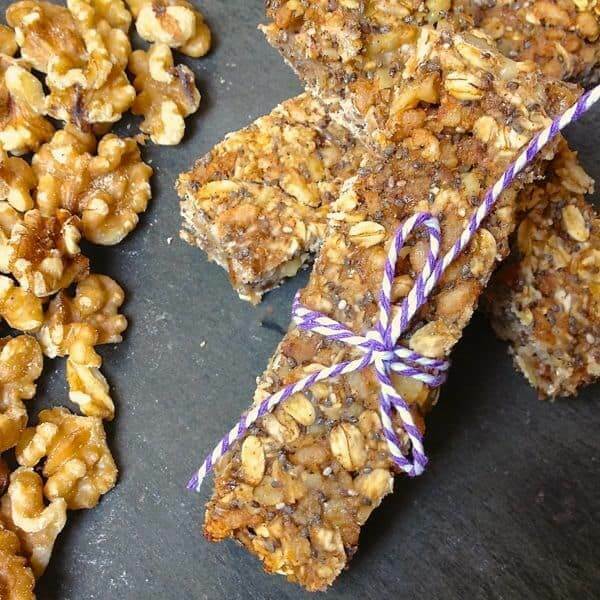 This year, both of my boys are in nut-free classrooms which presented another challenge: tweaking our usual granola bar recipe to be nut-free but also provide a hefty boost of protein. 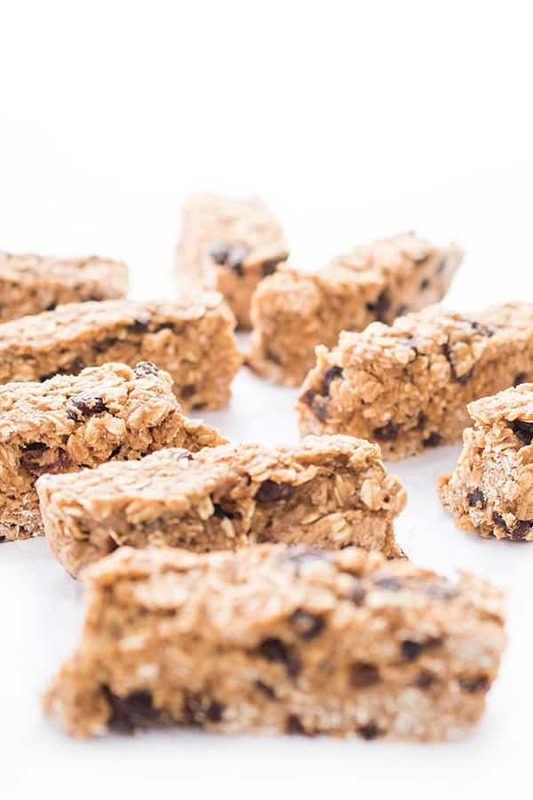 The end result are these soft and chewy nut free protein bars scented with warm cinnamon and plump raisins. 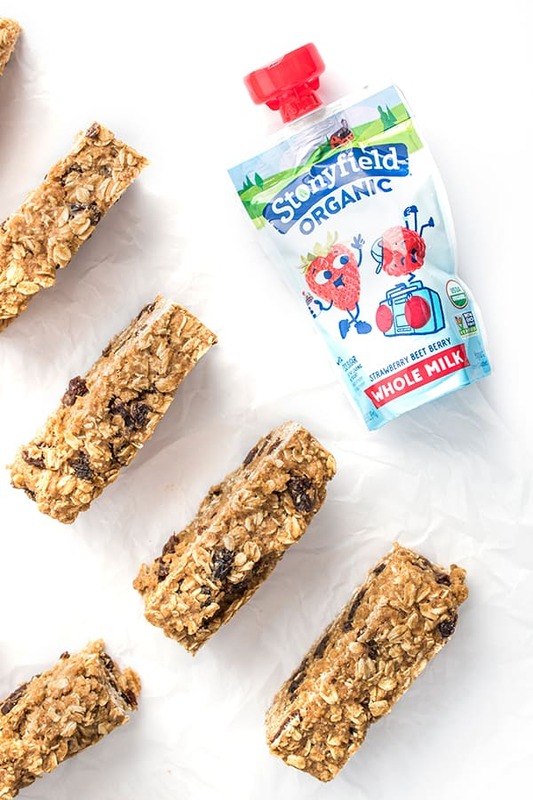 For even more protein, I pair them with a Stonyfield yogurt pouch packed with calcium and Vitamin D.
If you are also passionate about avoiding exposure to toxic chemicals and pesticides, I urge you to read more about Stonyfield’s newest initiative: StonyFIELDS. 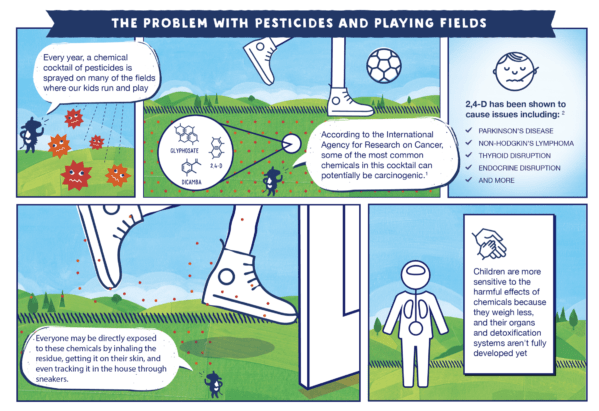 I know I was surprised to learn that 21 million kids play on fields, most of which are sprayed with a mix of harmful chemicals. Yikes! The mission is simple: make every field in America (you know, the fields our kids play on at soccer practice or during recess) organic by stopping the use of harmful pesticides on playing fields. Click here to learn more about how you can change your own community, nominate your community to get a donation, OR start by changing your back yard. In the meantime, we have kids to feed, am I right? 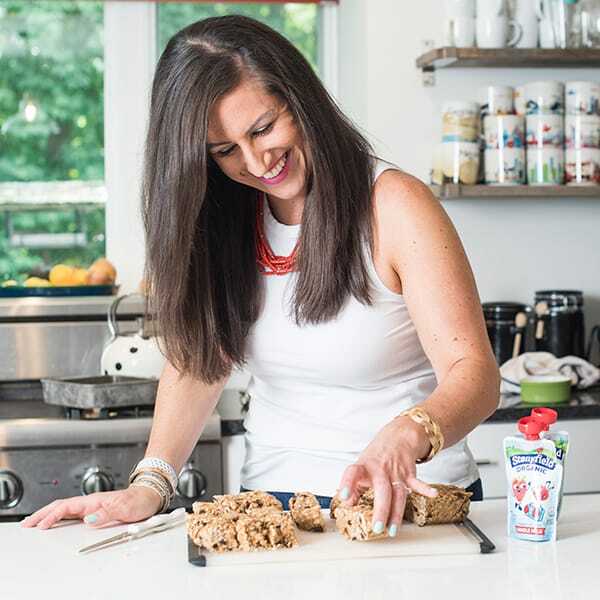 So get in the kitchen and whip up a batch of these soft and chewy nut-free protein bars to pair with your favorite Stonyfield yogurt. You’ll be so glad you did. 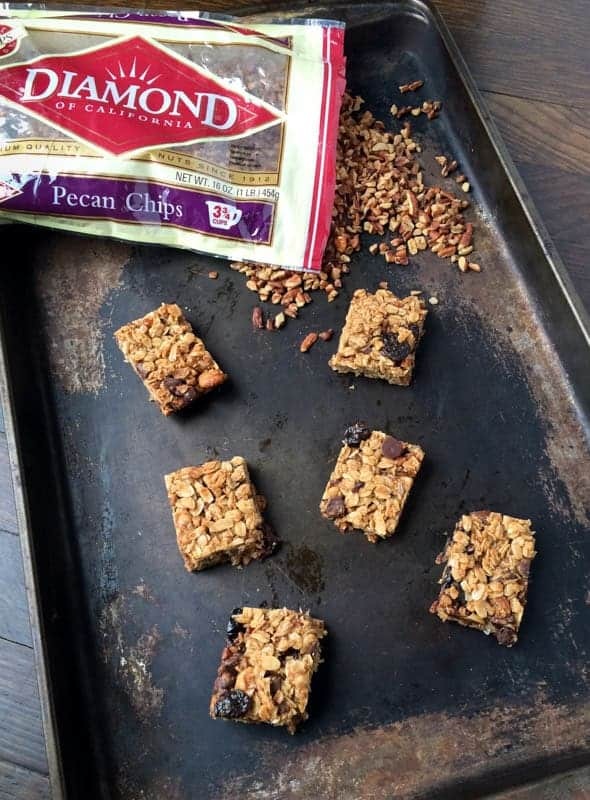 Preheat oven to 350 degrees and line an 8x8 baking sheet with parchment paper for easy protein bar removal. In a large bowl, mix together oats, protein powder, flax meal, flour, baking powder, salt and cinnamon. In a small bowl, whisk together apple sauce, honey and vanilla. Pour mixture over the oat mixture and stir well. Add raisins and stir again until mixture is evenly incorporated. Spread mixture evenly into prepared baking pan using a rubber spatula to press the mixture firmly into the pan in an even layer. Bake for 22-25 minutes or until lightly browned. Let cool completely before slicing into bars. Looking to try more delicious and easy breakfast ideas? Head over to my Pinterest board for inspiration! What a beautiful way to snack. Our girls would love this! 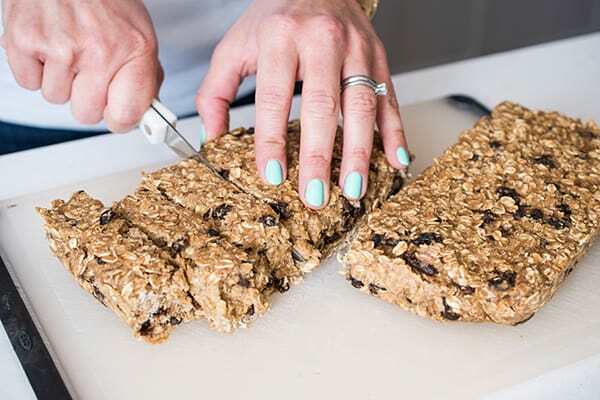 Homemade bars are so much better, and I love that these are nut free — it can be challenging to find ones to pack in school lunches these days. This looks perfect for snacking! I am sure my kids will love this! 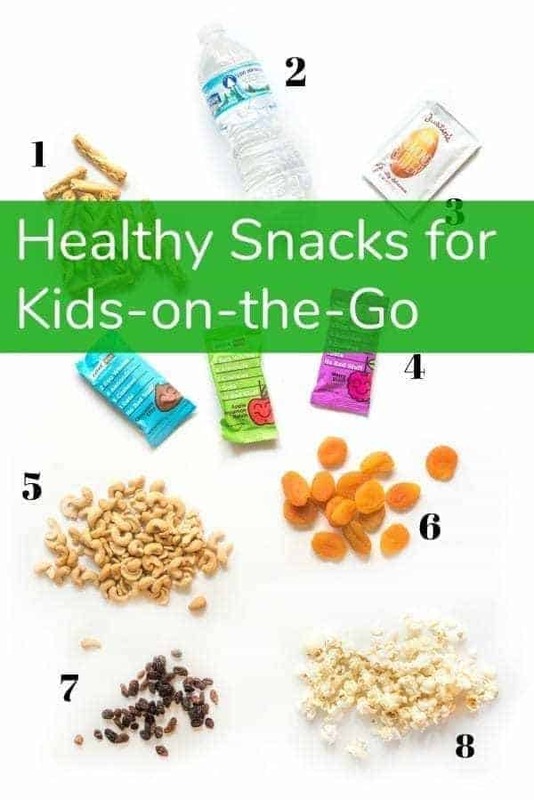 Perfect for on the go snacking! Such a great healthy option for active kids! 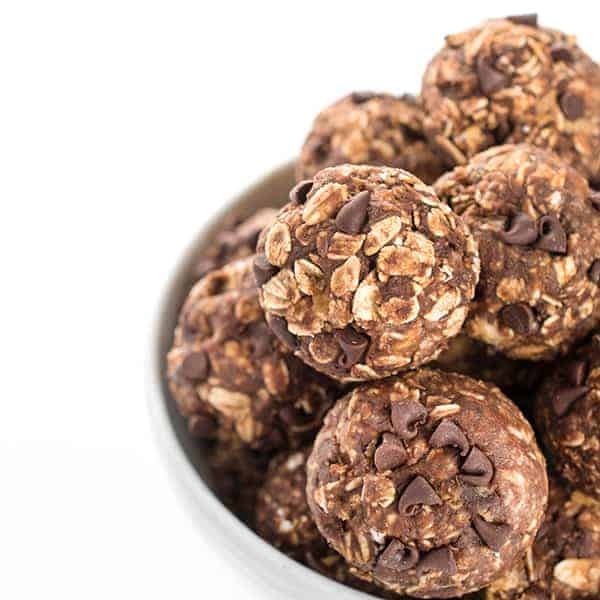 I ALWAYS need new protein bar recipes! Totally digging that these are nut free too! I’m always on the lookout for easy, high protein, portable snacks. Bonus that it’s nut-free for my daughter with allergies!!!! These look fantastic! 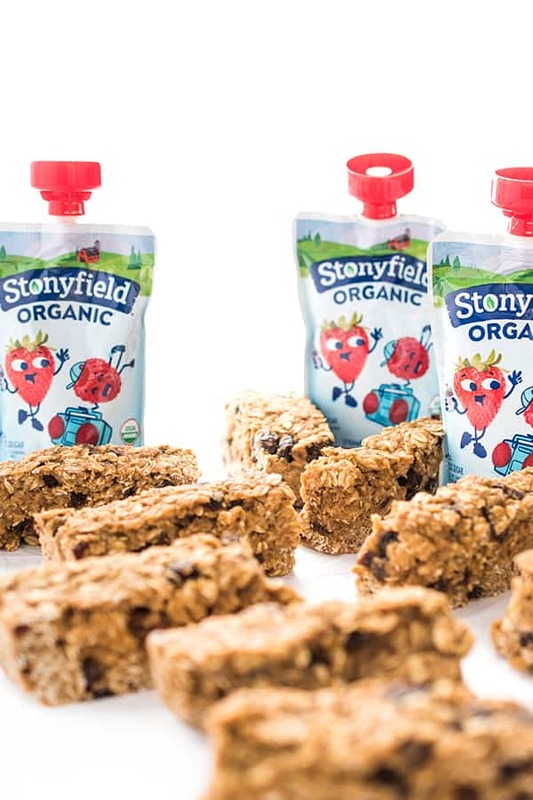 Stonyfield always has the best products!! We have so many friends who are allergic to nuts. These are perfect for them and there’s something for everyone! This is great! Last year both of my boys were in nut-free classrooms, too. This year we’re not, but our church sunday school classes are always nut-free. Keeping this for the books!